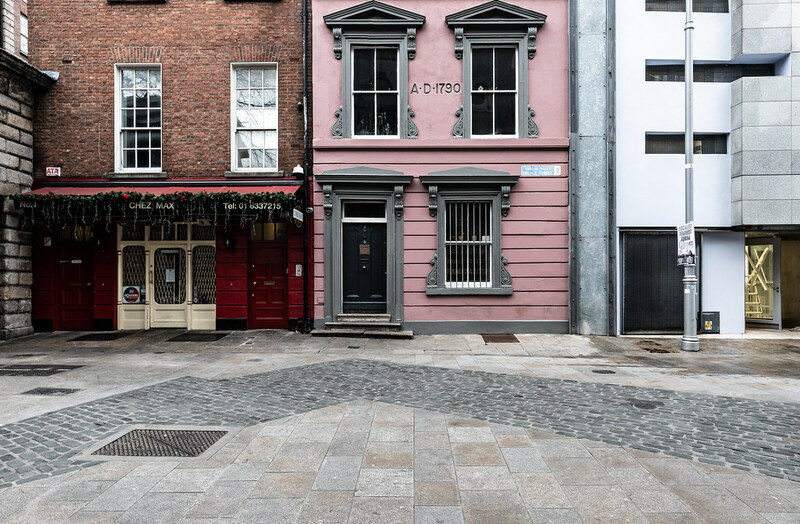 The shortest street in Dublin features a restaurant, Chez Max, and an interesting building which hosted a charity named The Sick And Indigent Roomkeepers Society. At five years of age when I first saw the name I asked my grandmother what was it that caused roomkeepers to be indignant but as she had not seen the sign she did not understand my question. 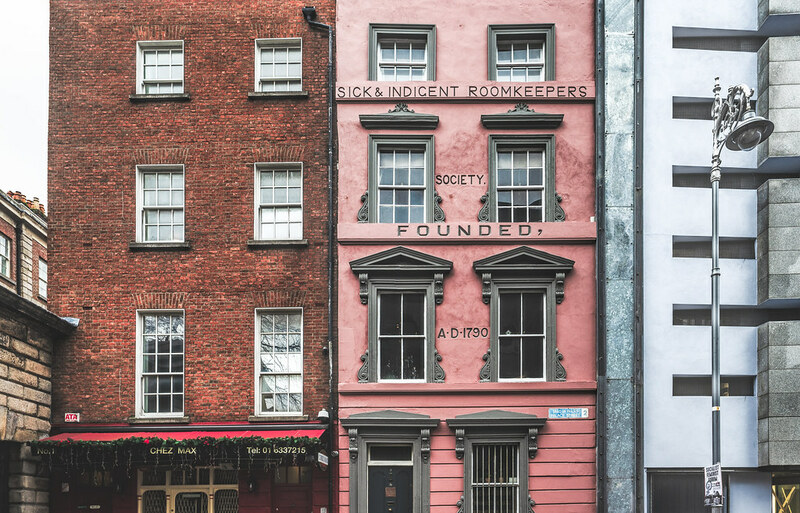 The Sick and Indigent Roomkeepers Society in Dublin, Ireland, is the city's oldest surviving charity. The society was one of many that were established in Georgian Dublin to relieve the poverty that pervaded the city at that time. There was no system of public welfare, nor, until much later, any general policy on the part of the government to alleviate the problem of poverty. It was left to parishes (which in the poorer areas of the city had very little to spare), private individuals and institutions to ease poverty through voluntary work. With this object in mind a group of men met in Mountrath St. on 15 March 1790 to form a society "to be called the Charitable Society for the Relief of Sick and Indigent Roomkeepers of all Religious Persuasions in the City of Dublin."